The University of Utah football team often prides itself on the family aspect it brings to the game, and Kylie Whittingham is another piece of that puzzle. 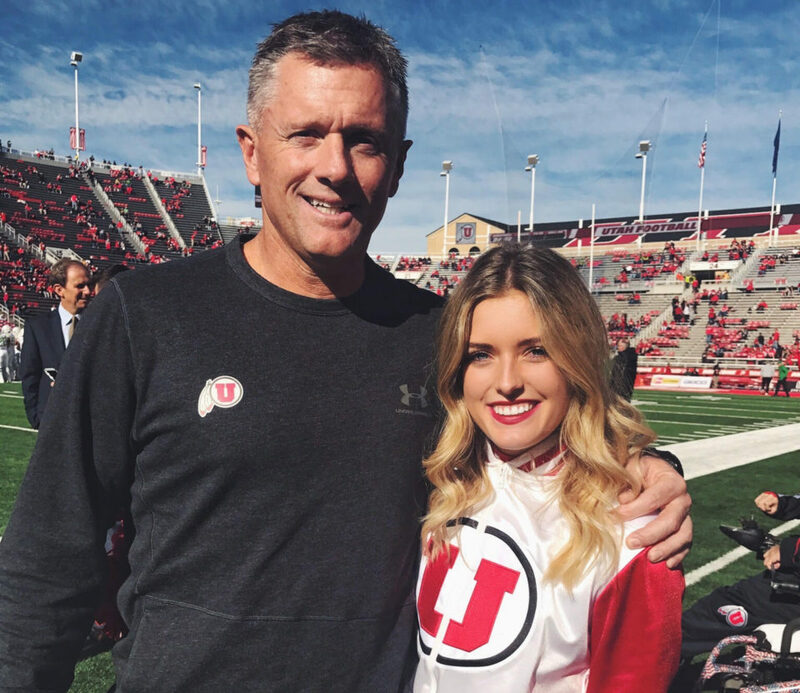 The daughter of head football coach Kyle Whittingham, Kylie’s name is a combination of her parents’ names, Kyle and Jamie, and as a freshman cheerleader for the U, she was able to be on the sideline each home game this year. It’s a bit of a different look than the one she has had growing up when she was just another face in the crowd. 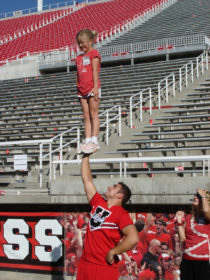 Another member of the Whittingham household is on the football team, too: Kylie’s older brother, Alex. Before every game this past season, she and Alex would give each other a hug as the team ran out of the locker room, and it’s moments like those that make Kylie love being on the field versus sitting in the stands. Kyle also makes sure to give his daughter a hug before kickoff, and although he can’t watch Kylie during football games since he has a job to do, he’ll think of her for a brief moment, and then it’s quickly back to football. The Whittinghams have always made an effort to support each other, so when Kylie was in high school, Kyle would often try and make it to the football games she cheered at. While the senior Whittingham can’t see his daughter perform in Rice-Eccles Stadium, he makes the same effort he did when she was in high school to attend plenty of Utah basketball games where he can dedicate his attention to her. Plenty of girls decide to stop cheering after high school, but Kylie knew it was something she wanted to pursue. She didn’t start cheering until she was in sixth grade, but she was always involved in dance classes, and mentioned that she has a tendency to do whatever Melissa does and even to the extent where she is aiming to get her degree in nursing, just like her big sister. 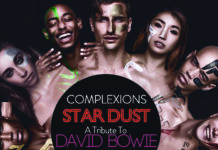 “I just like to copy her and everything she does,” Kylie said. When Melissa first joined the cheer team, Kyle jokingly cautioned his players that they better not try and pull any moves on her, and although he has yet to say the same thing regarding Kylie, he doesn’t anticipate there being any problems. 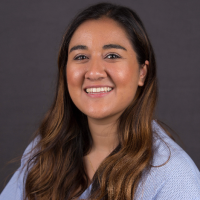 In addition to a full load of class work and a cheer schedule that requires the team to practice two to three times per week in addition to cheering at home events (like men’s and women’s basketball for the time being), Kylie also works a part-time job. She works at Madewell, and according to her father she’ll often leave the store with a lighter wallet. “She’ll go in and make $50 and spend $70, so it’s kind of a negative catch for her,” Kyle said with a laugh. Time management has been key for Kylie this year as she has been balancing all of her commitments, but the experience she is receiving as a college student isn’t something she would easily give up, with a major reason being that she gets to be on the field with her family. Whether or not Kylie decides to try out for the cheer team again it is still up in the air — her father is appreciative of the time the two have already spent together on the field.